Jagruti's Cooking Odyssey: Chikoo,Nariyal aur Khus Khus Halwa - Sapodilla,Coconut and Poppy seeds Dessert ! Chikoo,Nariyal aur Khus Khus Halwa - Sapodilla,Coconut and Poppy seeds Dessert ! I can say that I have been a very busy bee in this month of March. I attended a few blogger summits in London and other parts of the UK with fellow blogger Nayna of simply food. On the 8th of March, we went to a blogger summit in Bristol organised by Tots100 and met so many other bloggers and gathered much vital information for blogging. On 12th of March we attended the meet at Avista, a lovely restaurant in Mayfair. The event was organised by Ladies in Blogging. On the 15th we traveled to Farnham for the Cake and Chocolate show by Squires kitchen, and picked up a few tips and tricks from the chocolate workshops. Hopefully soon you will see those tips and tricks in my cooking! On top of that, I'm eagerly waiting to go to the Ideal Home Show and The vitality Show in London in a few days. Due to the busy schedule, I have missed a few posting opportunities :(. Therefore I am posting this recipe today which I prepared on Mahashivratri. 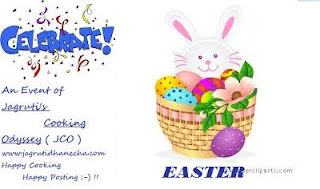 On Mahashivratri me and my family keep fasts, so we only consume Farari food ( fasting food ). This time I prepared chikoo, nariyal and khus khus halwa. Mostly this sweet is made for Prasad by Vaishanavs. My sister's mother in law prepares this sweet although I have never tasted it. A few times my sister mentioned it to me so thought I'll give it ago too. 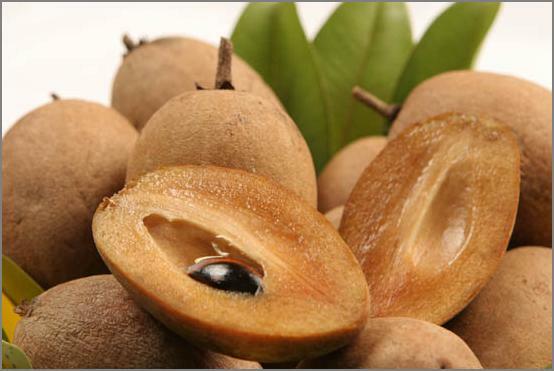 Chikoo or Sapodilla or Sappota is easily available in India, now even in the UK we get it too. Chikoo halwa is very easy to prepare and takes very less time too. It is something different and tasty. It takes less sugar too as the chikoo already has a lot of natural sugar. Wash, peel and mash chikoo in food processor. Make sure you leave pips out. Now you will have chikoo pulp. Heat ghee in heavy based kadai and add chikoo pulp. Cook for 2-3 minutes and add grated coconut. Keep stirring for another 3-4 minutes and add sugar. Now add khus khus seeds and mix every thing. Cook on a low heat, stirring continuously till ghee separates and the mixture gets the halwa consistency. Serve in a bowl and garnish with almonds and serve at room temperature. 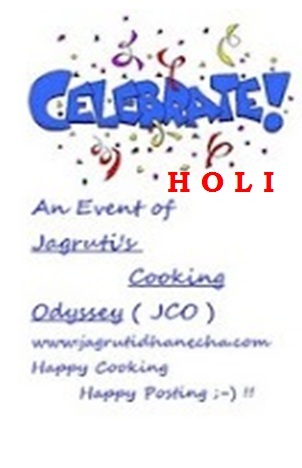 Linking this sweet to Celebrate - Mahashivratri/Holi guest host by Sukanya event by ME. Celebarte - Easter guest host by Shama , event by ME. And Know Your Dairy - Ghee guest host by Lakshmi event by ME. Nice combo and yummy...drooling here. New to me, lovely. Bookmarked.Nice click too. We don't find chickoo easily here but I can surely try it out with Caqui (Persimmons) .. they taste almost like chickoo and I maKe a pudding with this fruit too. Very interesting and quite an innovative halwa. Looks very tempting, by nutritious combo!